Sunderland have been dealt a major blow, as it has been confirmed that midfielder Adnan Januzaj has been ruled out for up to six weeks through injury. Januzaj picked up the injury during the Black Cats’ 3-2 defeat at the hands of Crystal Palace, and this will only pile up the pressure on David Moyes and his club. Moyes was the one who trusted Januzaj and gave him his breakthrough at Manchester United in 2013. The Belgian was United’s silver lining that season – one of the only positives in what proved to be one of, if not their worst ever Premier League campaign. However, Moyes got sacked a few months before the end of the season after a disastrous few months in charge, and Januzaj’s form began to dip. Louis van Gaal was appointed as manager at the start of the 2014-15 season, and Adnan saw himself fall out of favour with the Dutchman, and struggled to make an impact on the team. Many criticised his attitude as the reason for his career’s stagnation. However, his style of taking on players and attempting to beat them did not gel well with van Gaal’s ‘philosophy,’ which involved playing lacklustre, safe football. Januzaj was then loaned out to Borussia Dortmund in order to experience being a regular starter of a big club. However, the move didn’t work out for the youngster, who barely made any appearances for the Bundesliga giants. Two seasons and another managerial sacking later, Januzaj saw the arrival of Jose Mourinho as hope that he could finally prove himself to the Old Trafford faithful again. Mourinho, on the other hand, admitted that the youngster might struggle to get minutes, and hence, another loan would be the best solution. Moyes was appointed as Sunderland’s new manager in the summer, and this played a major role in influencing Januzaj to make a switch to the Wearside club on a one-year loan basis. 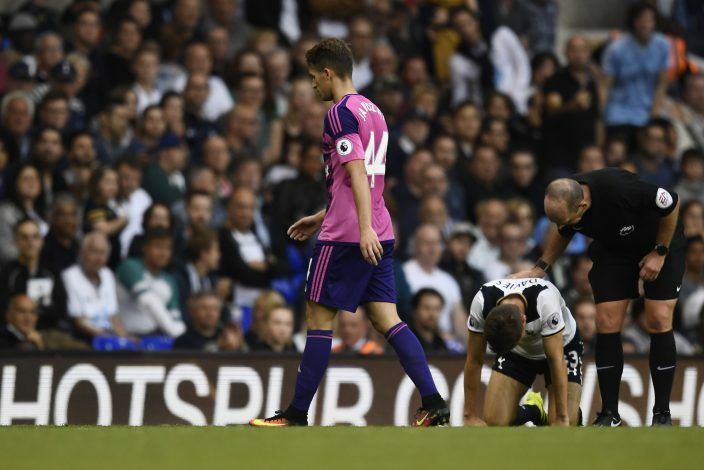 However, Sunderland have struggled in the opening games of the season, and find themselves languishing right at the bottom of the table. Januzaj’s injury will no doubt be a massive blow to them. The club released a statement confirming the nature of the injury as “ankle ligament damage”.